Debate is a great focus for the English language classroom. Students produce a lot of language but they also must internalize that language and “think” as they process the language. It really makes the English language they use, their own. 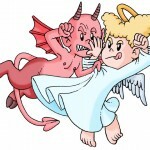 My favorite “warmer” for debate type lessons or courses is “Angel vs Devil”. 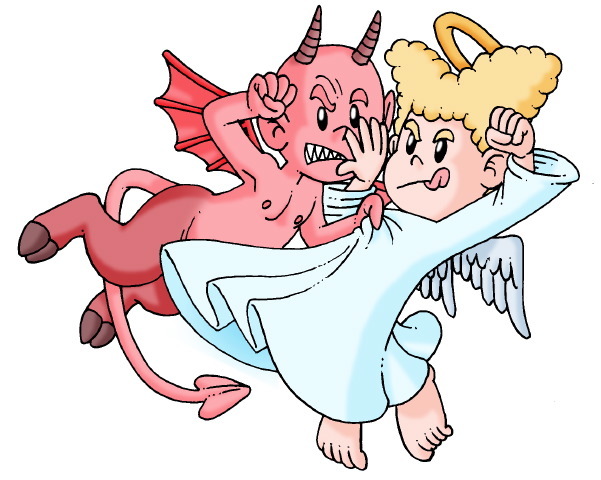 Students take on the roll of either the angel or the devil and have to list the advantages (angel) or disadvantages (devil) of a topic. 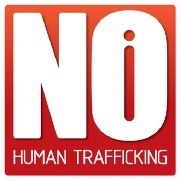 Here is a handout for organizing this and providing the topics. But first do a few against the class. Write 3 statements on the board and as the “Devil”, state 3 disadvantages and why it’s a bad idea. Then get students to be the angel and elicit responses from them. After they’ve got the idea, provide the handout and in pairs they can play Angel vs Devil. EFL Classroom members can loads of great debate materials: ppts, rubrics, how to debate materials for using debate with in the EFL / ESL Classroom.